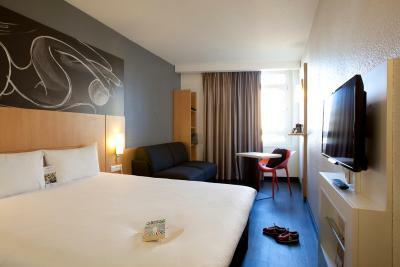 Lock in a great price for ibis Annecy Centre Vieille Ville – rated 8.4 by recent guests! Great location, comfortable bed, pretty view, friendly staff who spoke English, coffee in the room, parking next door. Great OldTown location. steps away from Chateau, restaurants, canal. Parking directly under hotel. The beds are to die for. Extremely comfortable. Location is excellent. You can walk any where in town and there is a massive parking garage next door. Location right on a canal at the edge of historic medieval part of town. Great location in the heart of town, clean, comfortable and the breakfast was delicious. The location of the hotel is perfect! The view from our room was nice! The breakfast was also very good. Location! Parking near by. Good for one night stay. 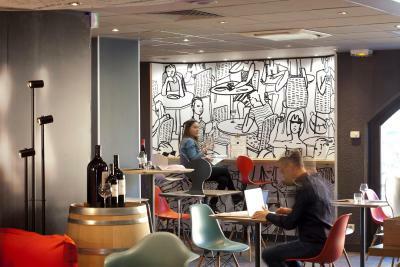 Located just 2,300 feet from Lake Annecy, ibis Annecy Center Vieille Ville features a 24-hour front desk, a luggage storage room and free WiFi. Public parking is available nearby at a surcharge, depending on availability. The guest rooms are equipped with a desk, a wardrobe and a flat-screen TV with satellite channels. The private bathroom is fitted with a shower and a hairdryer. A buffet breakfast composed of sweet and savory dishes such as eggs, fruit salad, yogurts and juices is served every day. Pastries baked on site and fresh French Madeleine cakes are also on offer, as well as a hot beverage and a piece of fruit to take away. Outside of regular breakfast hours guests can also enjoy a lighter option, available from 04:00.. 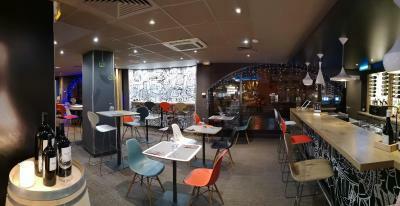 Guests can also relax with a drink at the ibis Annecy Center Vieille Ville’s bar. 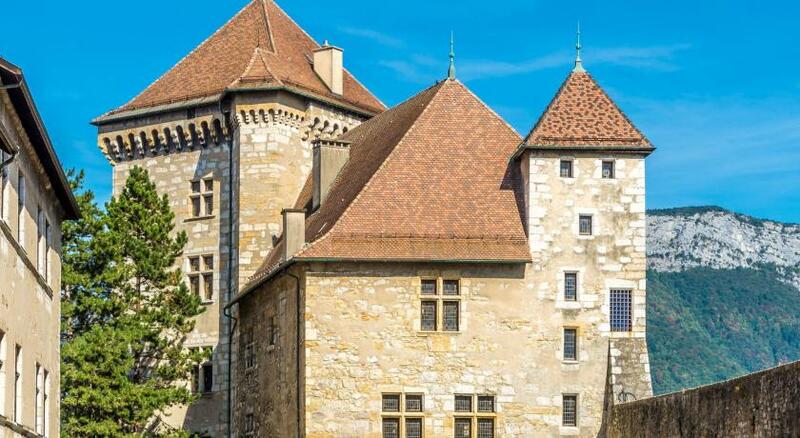 Annecy Train Station is just 1,650 feet away from the hotel. 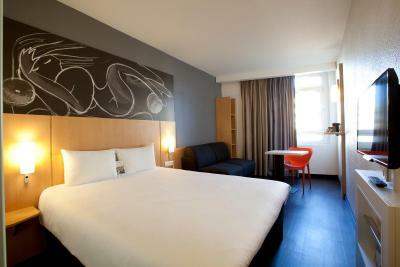 When would you like to stay at ibis Annecy Centre Vieille Ville? This double room has a tea/coffee maker, electric kettle and satellite TV. House Rules ibis Annecy Centre Vieille Ville takes special requests – add in the next step! ibis Annecy Centre Vieille Ville accepts these cards and reserves the right to temporarily hold an amount prior to arrival. The first room we checked into smelt strongly of smoke. The location was great. Everything you needed was accessible on foot. Very good location, nice view From the hotel, about 100m around, there are many good restaurant Small but very cosy room. Location was ideal. Good breakfast. Maybe a better deal to park in the underground car park below the hotel. Great location. Excellent breakfast buffet. My stay was at the end of March, the hotel charged me twice in January (more than 100 euro extra), I didn't notice it until I was at the check-in desk when the receptionist asked me to pay again (third time)!!! I asked the manager why, they said the computer billed me twice and issued a refund for the extra they took. They blamed everything on the computer without apology or compensation, everyone there is innocent and apparently I came there to lend money to the hotel for free? Not booking there again for sure. Close to everything, room is clean. 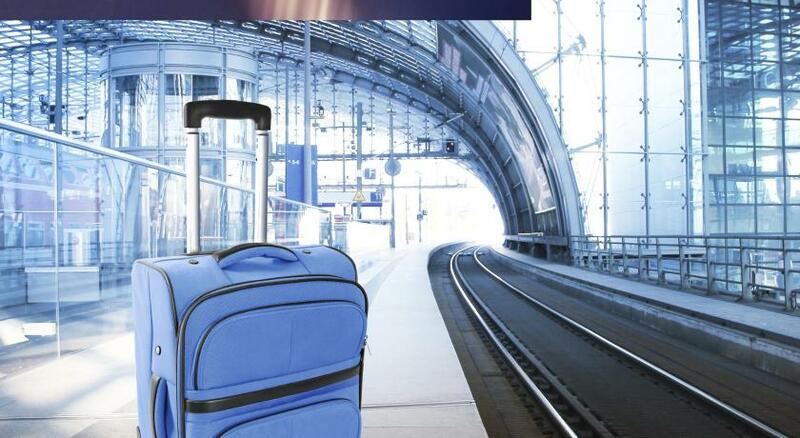 When I arrived at the Hotel, the person at the reception couldn't find my booking which I've booked one day before with booking.com, after a few minutes, fortunately, we were accommodated. The location was perfect. Breakfast was good. Nice personal. Wonderful location and very comfortable rooms .. Breakfast and lounge room are very nice to sit and watch the river flow by form big picture windows . All right. Breakfast room very comfortable very hot very friendly staff very easy place near the canals very fast to get old city and restaurants shopping area. Perfect location in the centre of town near many bars and restaurants. Safe parking. Excellent staff.